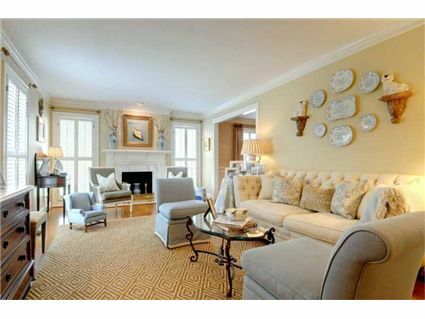 My favorite of all the Atlanta Interiors is the Living Rooms. 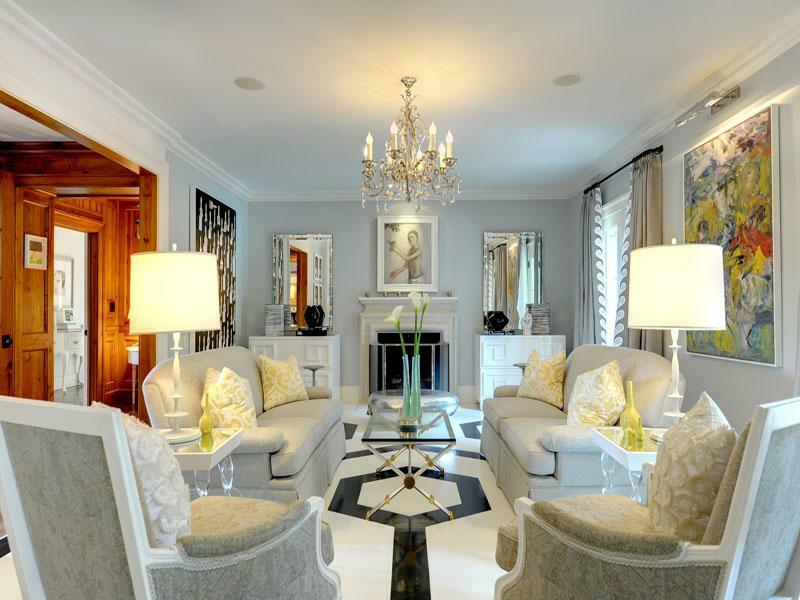 Variety and style, these rooms are above par. Enjoy! 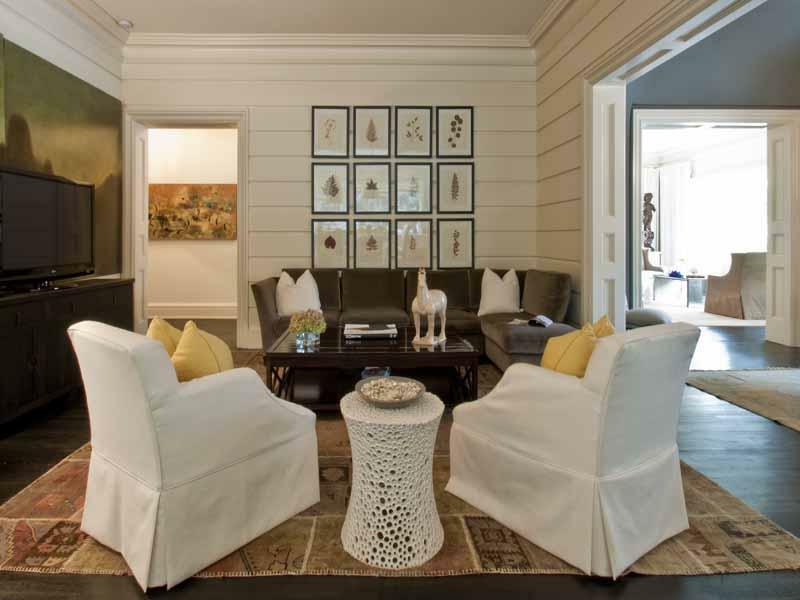 Diamond sisal rug lays the groundwork for a very formal living space here. I love the Staffordshire dogs and plates hung on the wall along with the warm hues of golden cream and soft gray-blue. White and more white but I love the layout with the center table and seating areas on either side. 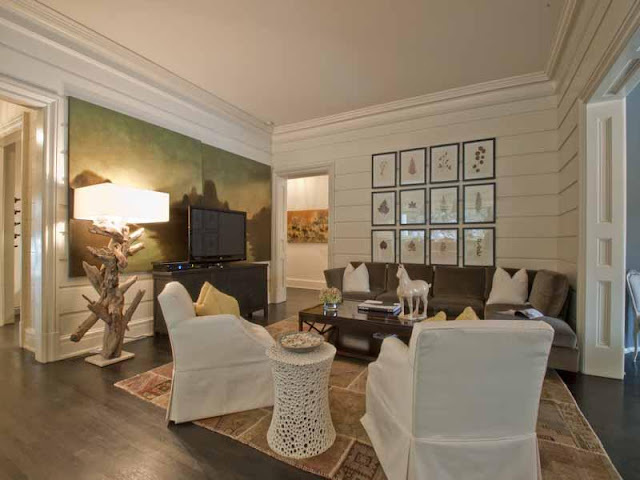 The large artwork and chandelier add grandeur to this room. 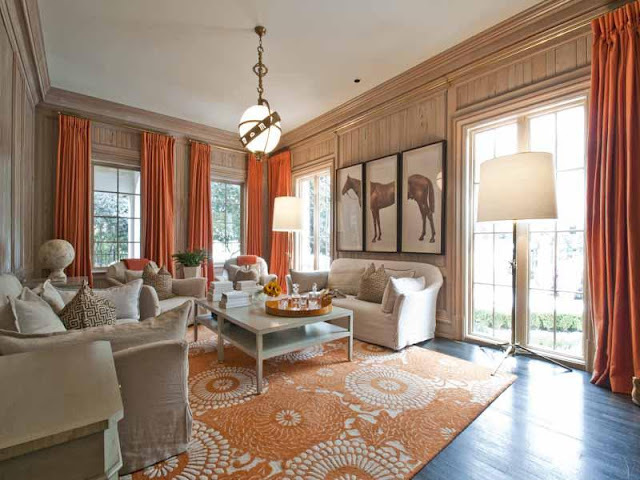 Much more understated elegance but adorable with the orange accents and neutral furnishings. The lighting is fun and contemporary and the natural wood panels add warmth and interest. Another view - of course there's a Hermes tray! This small sitting space is perfect for TV watching. The horizontal panels work well here and I really like the botanical prints and their arrangement. That's a great floor lamp! 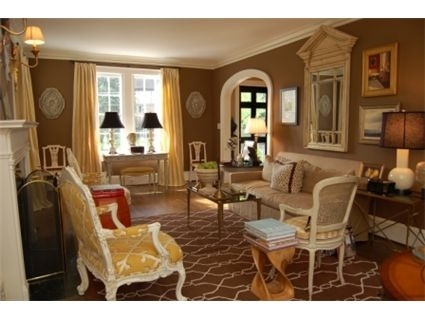 Formal but very inviting with the yellow and brown color scheme. The antiques are arranged well and compliment each other. The geometric rug adds a slight mod flavor to the 70's color scheme but really makes it updated for today. Elegant and sophisticated. The French and Italian antiques are gorgeous. I am loving the artwork and the blue and white urns. I keep going to checks - the window treatments and wall in add so much to this space. 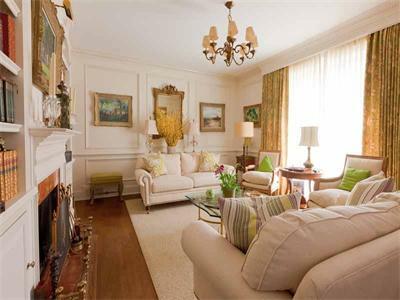 The french rococo fireplace and paneling compliment the room well. 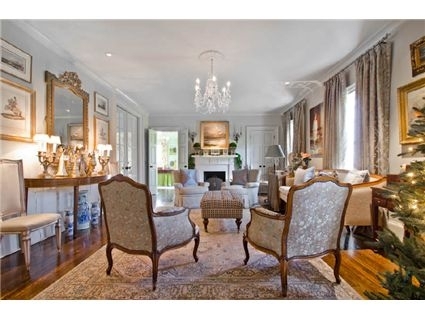 Much more relaxed but I love the neutrals, sisal rug and bank of windows with french doors. Reminds me of "The Holiday" movie - you know Cameron Diaz's California abode?? Green and ivory with a hint of gold. 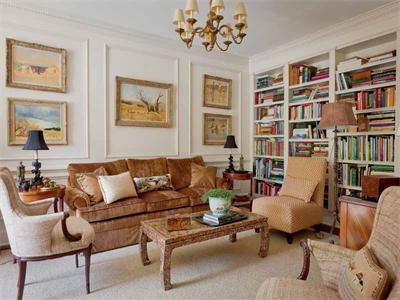 Bookcases are great in any room. If it wasn't for the floor this room would not pop like it does. This room sparkles to me - the lighting, lucite table legs and silver accents add to the glamour of this space. 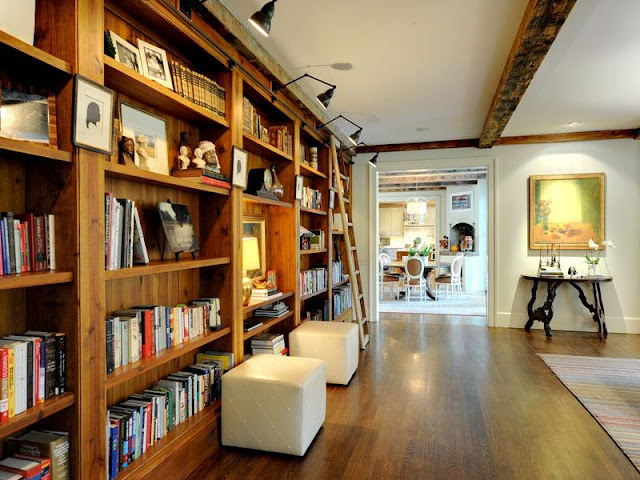 Bookcases - pine and natural but I love the contrast to the more finished space beyond. The lighting is also wonderful in here.